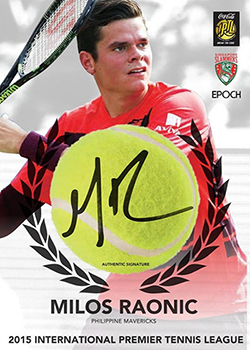 2018 Leaf Grand Slam Tennis continues with the company’s all-autograph approach for the sport. 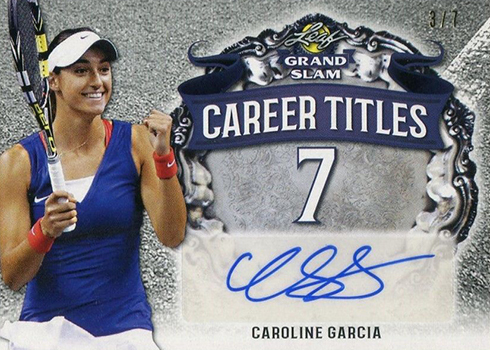 Boxes come with eight cards, all of which come with a signature (or two). Things start with Base Autographs, a somewhat traditional approach. 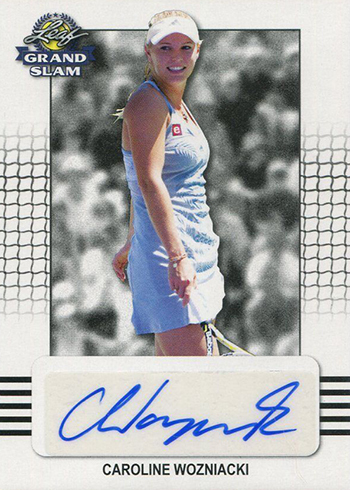 Serena Williams, Roger Federer and Caroline Wozniacki are some of the names Leaf has lined up for the release. 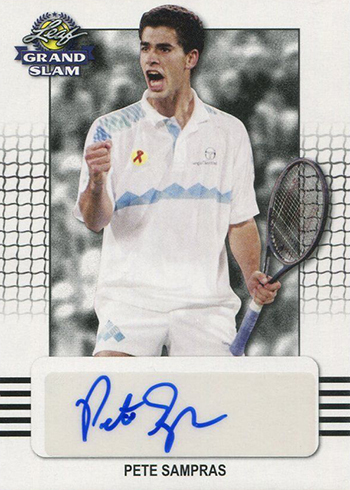 But the checklist isn’t just current players on the ATP and WTA. 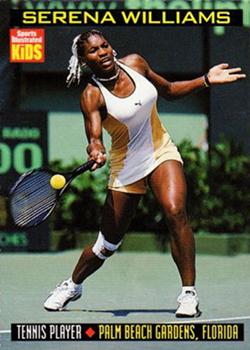 It goes back to stars of the not-too-distant past as well. 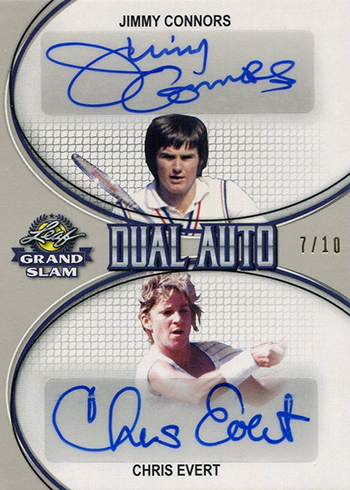 Martina Navratilova, Chris Evert, Jimmy Connors and Martina Hingis are among retired players also in 2018 Leaf Grand Slam. 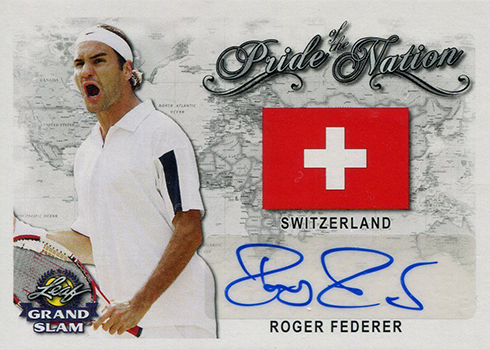 Other themes in the product include Dual Autos, Pride of the Nation and Career Titles. 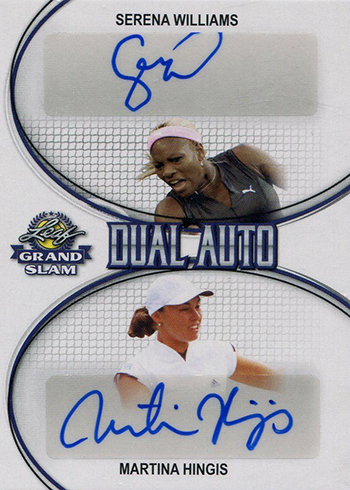 2018 Leaf Grand Slam Tennis has a production run of 115 total cases. Each case has ten boxes.